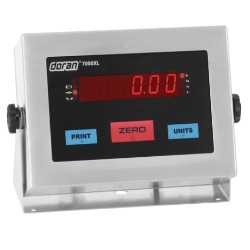 Doran Scales 7000XLM features Simple Operation. The basic controls are all here—Zero, Units, and Print, you can't get any simpler than that. The benefit to you is a scale that is easy to operate and train employees to use—reducing operator error. Washdown Safe Construction Superior washdown protection. Superior washdown protection has been engineered into the Model 7000XL Digital Weight Indicator. From the heavy gauge stainless steel to the innovative gasket design, this digital weight indicator meets the NEMA4X and IP69K classifications for washdown protection. Reduce downtime and lower maintenance costs even in environments where repeated high pressure washdowns are the norm. Four times thicker than the competition, the indestructible "Guardian©" touch panel resists moisture and puncture damage better than any other digital weight indicator. Take the 7000XLM Digital Weight Indicator to new levels with the enhanced features made possible with the new Excel Series Design. 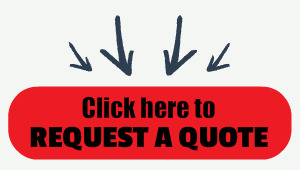 Choose from a variety of communication options including Wired or Wireless Ethernet. Control a mixing or batching operation simply by adding setpoints and relays.